Fix vehicles, computers and other electronics on the go with the 33pc Security Screwdriver Bit Set! Fix vehicles, computers and other electronics with the 33pc Security Screwdriver Bit Set! 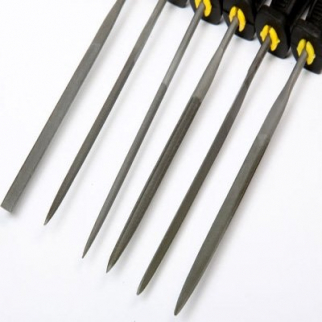 The 33pc Security Screwdriver Bit set comes with 32 tamper-proof security bits and a 2.5" magnetic extension bit holder. Inside the plastic storage container you'll find 3 torq bits, 4 spanner bits, 4 tri-wing bits, 6 SAE hex bits, 6 metric hex bits and 9 torx bits, all with assorted common sizes. 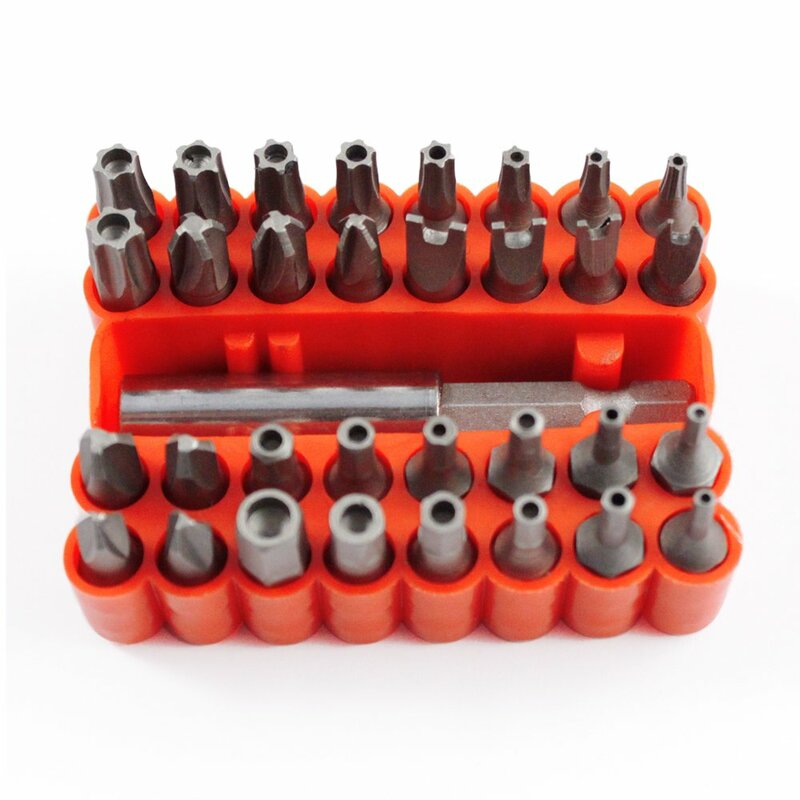 The 2.5" magnetic extension bit holder will allow you to use and reuse these screwdriver bits time and time again. 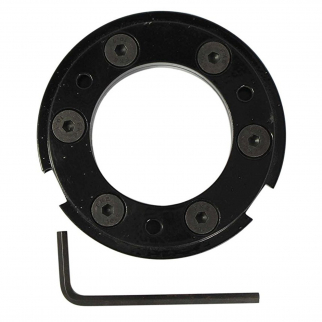 They are constructed of CRV steel and are great for automotive, home and electronic component fixes. 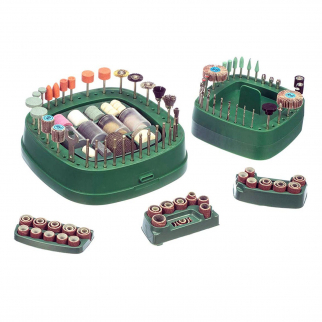 (6) SAE Hex Bits: 5/32", 9/64", 1/8", 7/64", 3/32" & 5/64"
Universal Tool 276 Pc Rotary Tool Accessories Kit on Revolving Stand $ 40.99	• 16% off! Jewelers Setting Tennis Bracelet Gem Stone Jewelry Holder $ 11.99	• 52% off! 6pc Coarse Grit Precision Hobby File Tool Set Sharpening Knives Blades and Saws $ 7.99	• 60% off!